My handcrafted, Ecoprinted book. Cute little miniature! Not only did I glue all the cover papers/fabrics, hand fold every sheet and hand stitch every signature of all the books you see in my shop BUT I made all the fabrics and papers you see on the covers and within some of the books! 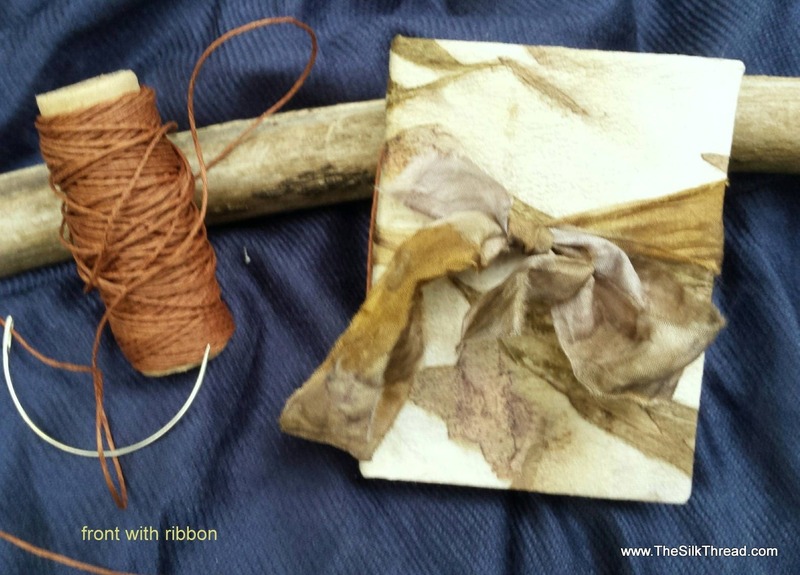 Handmade books and journals are a labor of love! Perfect for any journal use or a place to keep your most treasured secrets and memories. Although miniature, You can use this unique, one of a kind book for so many things! - For this journal: Handmade Ecoprinted front and back covers attached to cid free chipboard. The design is from the actual plants that I used in the process.